The sole proprietor of Mental Health Counseling Services of NNY, PLLC. She has a Master’s degree in Counseling and Human Development from St. Lawrence University. She has over twenty years of experience in the human service and counseling field. She has worked in such areas as; domestic violence, probation, alternative education setting, K-12 school setting. 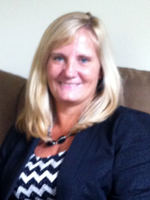 Tracie holds a NYS School Certification as well as her NYS Mental Health Counselor license. Robin has an undergraduate degree in Psychology from Bethany College, and a Master’s of Social Work degree from Adelphi University. 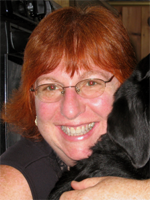 Robin is a valuable addition to the practice as she has over 25 years experience in Mental Health Counseling. Robin has experience in such areas as sexual abuse, trauma, familial alcoholism and substance abuse mood and developmental disorders. 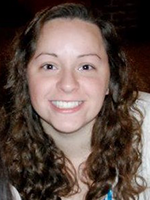 Moriah received her bachelor’s in Human Development with a concentration in Psychology from SUNY Empire State, Saratoga, NY, later earning her Master’s in Mental Health and Counseling from St. Lawrence University, Canton, NY. She started her undergraduate career at BOCES as a special education teaching assistant for children on the Autism Spectrum and later completed her practicum and internships at SLPC and Mental Health Counseling Services of NNY during her graduate career. 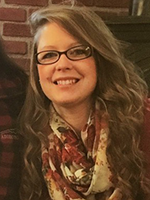 Moriah holds a license in mental health counseling and is quickly gaining experience and knowledge working with a variety of individuals here at Mental Health Counseling of NNY. Paula graduated with a Bachelors from St. Lawrence University and a Master’s degree in Counseling and Human Development from St. Lawrence University. She began her undergraduate career with the Youth Advocate Program working with at-risk adolescent youth and their families. She has work experience with Renewal House, and the Department of Social Services. Paula completed her internship and practicum here at Mental Health Services of Northern New York. Amy graduated from Syracuse University with a Master’s degree in Social Work concentrating in Individuals, Families and Groups. She has a bachelor’s degree from Empire State College in Community and Human Services. 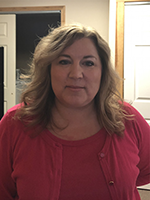 Amy has worked in Human Services for over 15 years now at various organizations including Cerebral Palsy Association, United Helpers and Hospice of the St. Lawrence Valley. She has been employed as an assistant rehabilitation counselor, supportive case manager and currently as a licensed master social worker. 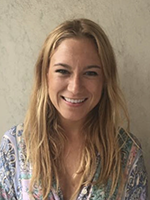 Amy completed her practicum internships at Claxton Hepburn Medical Center in the emergency room and in the mental health center as a psychosocial assessor. Amy enjoys working with individuals of all ages and helping the general public to address their goals and needs. She also has experience with bereavement and grief services. Elizabeth received a BS in Psychology from St. Lawrence University and a MS in Clinical Mental Health Counseling from Niagara University. She has over six years experience working with the college age demographic, working at D’Youville College, Canisius and Niagara University. She also worked for a wilderness therapy company in the Adirondacks for at-risk 13-17 youth. She is dedicated to helping individuals be and live their best selves by building on their strengths and enhancing personal well-being. 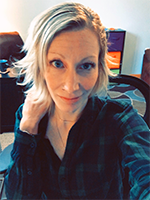 She has experience working with the adolescent-adult population and with areas including: coping skill development, self-esteem, relationships, identity, LGBTQIA, sport performance/enhancement, anxiety, depression, grief/loss and OCD. Bryanna has a Master’s Degree from St. Lawrence University in Mental Health Counseling and a bachelors in Psychology from SUNY Plattsburgh. Bryanna has experience working with addiction/substance abuse clients and victims of domestic violence. Bryanna is available to see children, adolescents and adults. Bryanna facilitates an anger management and Offender Accountability group. 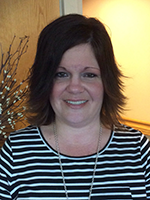 Diana Wilson is our office manager and billing specialist. She can help you with any questions you may have about insurances and scheduling appointments. 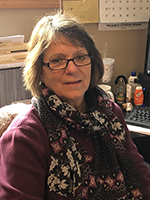 Becky Kearing is our assistant office manager, who can schedule your appointments and provide you with any information you may need in regard to insurance. Bella and Bently are our office mascots. 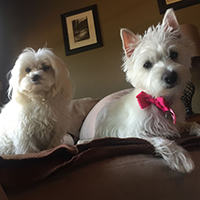 Bently is a maltese and Bella is a West Highland Terrier. Both are hypoallergenic and have been coming to the office since they were puppies. Their job is to greet you at the door and make you feel welcome.